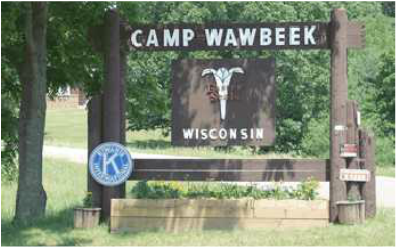 The longest continuously-operating Easter Seals camp in the nation, Easter Seals Wisconsin Camp Wawbeek began providing services to children and adults with physical disabilities in 1938. By striving to keep pace with the changing needs of our campers and community, Camp Wawbeek continues to evolve and thrive. There is always something to do at Camp Wawbeek. When campers aren’t boating, fishing, hiking or swimming, they’re playing basketball, painting, racing through obstacle courses, exploring attractions in Wisconsin Dells, or flying through the air on a zip line! Everything is fully accessible and campers are encouraged to challenge themselves with new experiences and set goals for new accomplishments. For campers of all ages, there is also time to relax, make new friends and reminisce with old ones. Evenings bring campfires, dances, special events and each day ends with a sense of satisfaction and accomplishment. Mission Statement: ​To increase independence, maximize opportunities, minimize barriers, and enhance the quality of life for people with disabilities. Bay Cliff is a year-round, nonprofit therapy and wellness center for children and adults with physical disabilities. Bay Cliff’s priority program is a seven-week, summer therapy camp session serving children with orthopedic, speech, hearing, and vision disabilities. The children work towards goals of increased independence and living a fuller life. Bay Cliff also sponsors a week-long recreational camp for adults with physical disabilities, an adaptive paddling workshop, a health and wellness retreat for polio survivors, winter recreation for the children and adults that attend our summer programs, family programs for children with cerebral palsy, spina bifida, and obesity, and a professional development workshop for pediatric therapists. 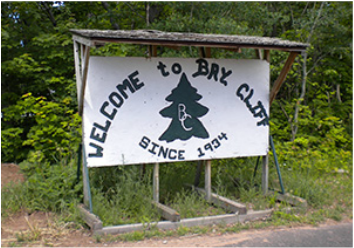 Bay Cliff partners with non-profit organizations and schools interested in conducting programs at camp. These guest programs include health and wellness retreats, youth development camps, science and outdoor recreation programs, or volunteer and leadership trainings for people with & without disabilities. Learn more about BayCliff Health Center by clicking here. You can support the camps by doing what Key Clubbers do best- service! You can hold fundraisers, volunteer at the camps, hold hygiene drives, and much more! For more service project ideas, take a look at our District Project Cookbook made by our District Project Chair. You can also support the camps by holding fundraisers and donating the money. We made donating easy for your club. All you have to do is fill out the 'District Project Donation Form' and send the form, along with the donation, to the District Administrator. You can find the form by clicking ​here!